Apple marks the occasion with a full-page newspaper ad. By April 2007, Apple had released more than 10 iPod models: five original iPods, two iPod minis, two iPod nanos and two iPod shuffles. The devices spawned an enormous ecosystem of more than 4,000 accessories, from cases to standalone speakers. Plus, upward of 70 percent of cars produced in the United States in 2007 offered iPod connectivity. Along with the success of the iTunes Music Store — the third-biggest music store in the United States at the time — the iPod represented Apple’s ascendancy to the pinnacle of the tech world. It was an amazing turnaround for a company that almost went out of business just a decade earlier. To mark the 100 million iPod sales milestone, Apple enlisted celebs from the music and sports worlds. 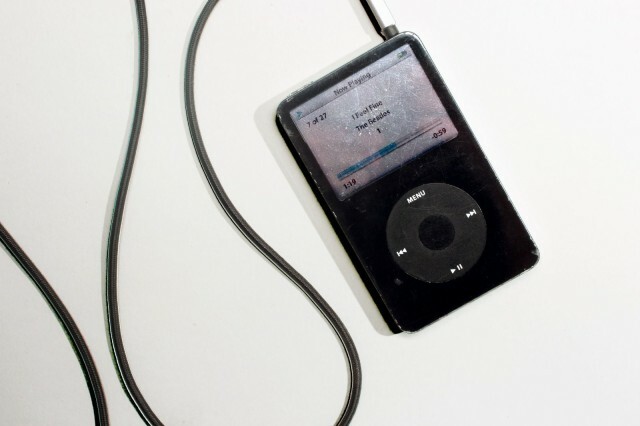 Lance Armstrong, seven-time Tour de France champion, also sang the iPod’s praises. 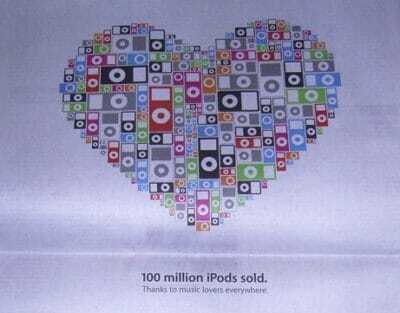 Apple also took out an advertisement in The Wall Street Journal celebrating the sale of the 100 millionth iPod. But this was just the start. By 2011, Apple sold a massive 300 million iPods. While the company eventually stopped reporting iPod sales, the current tally probably stands at more than 400 million. The iPhone, meanwhile, passed the 1 billionth unit sold in summer 2016. How many iPods did you own back in the day? Lets us know in the comments below.